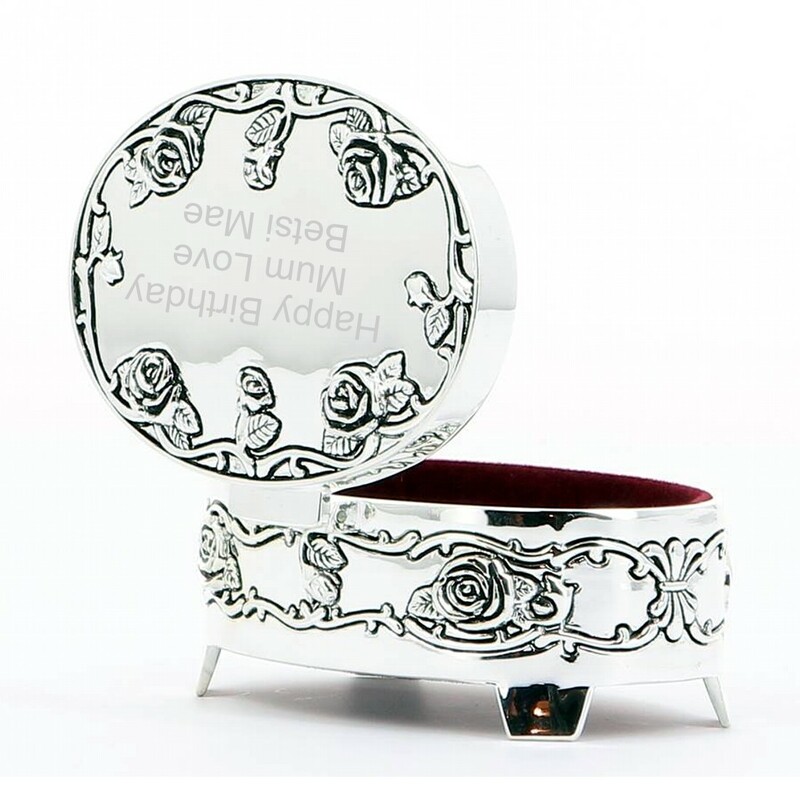 A beautiful engraved ornate/vintage silver plated oval trinket box. 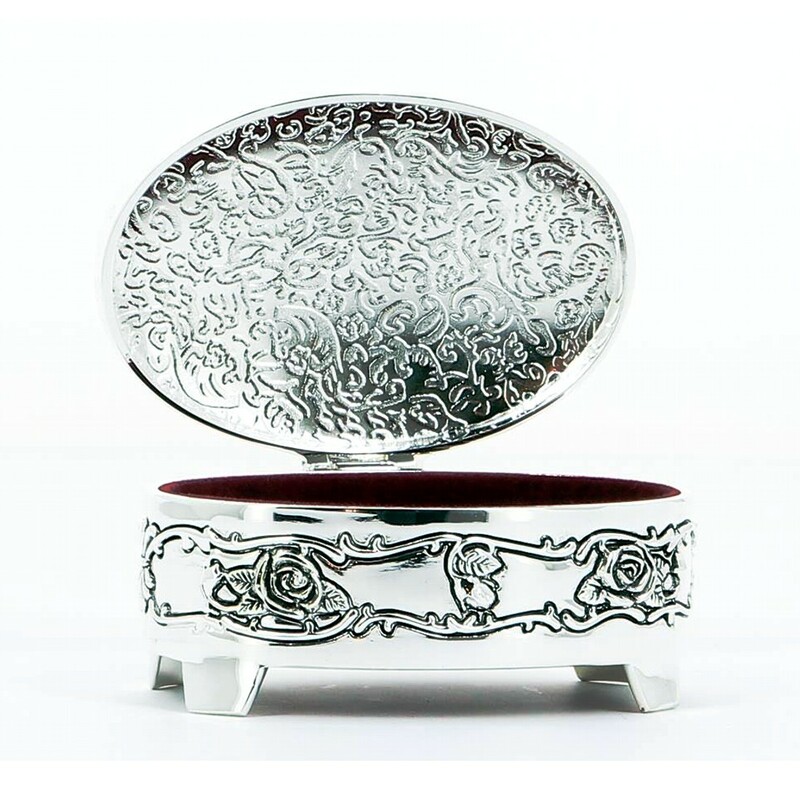 This amazing trinket box has a deep red velvet lining, hinged lid and measures 40 x 80 x 50mm. Please keep your engraving to a maximum of 3 lines of text, any more than this will make the text size too small.